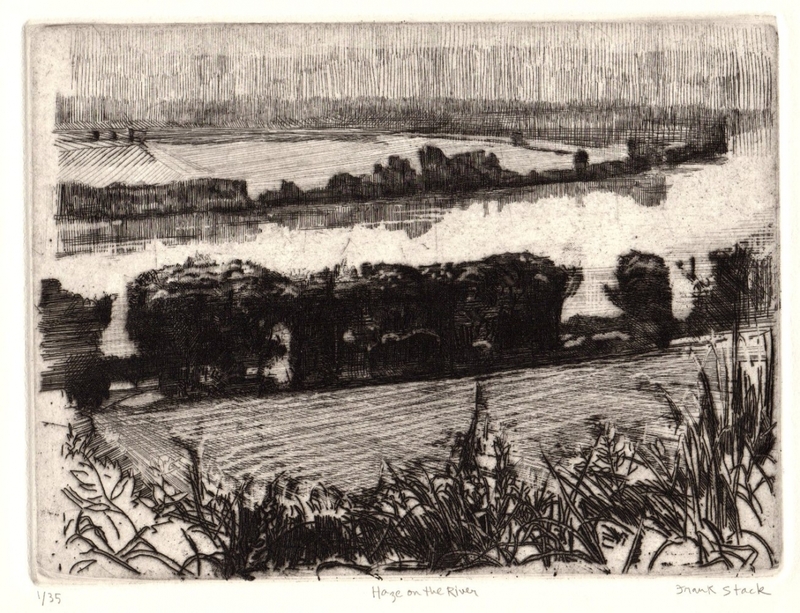 This original hand-pulled etching entitled "Haze on the River" represents a view of the Missouri River in summer haze. Using the old master technique of etching, the artist repesents the form with a linear series of hatched and cross hatched lines. This etching comes from a limited edition of 35 and is numbered "1/35". Image size: 7.25" x 9.75" Sheet size: 9.75" x 12.25"